One of my really good friends, John, asked me if I would make a graduation cake for him. 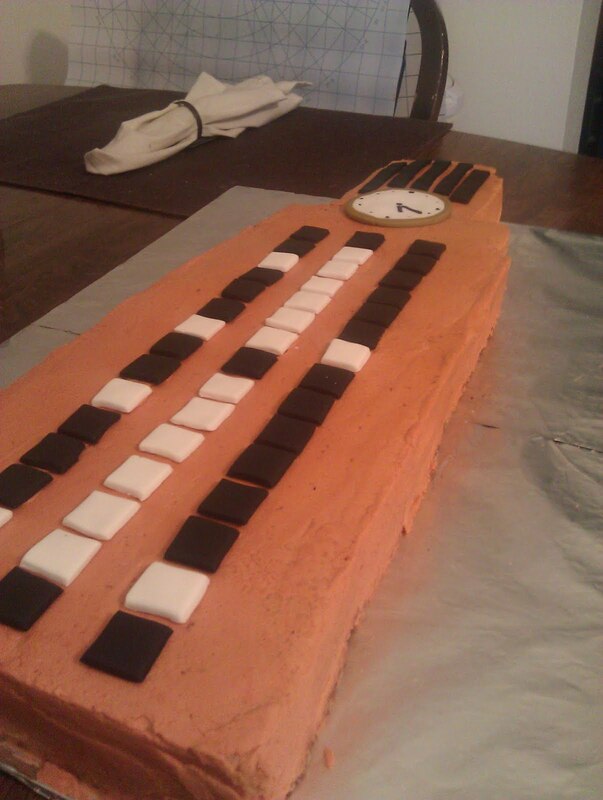 First, I love making cakes for other people. Second, it was my friend John asking so I had to say yes. 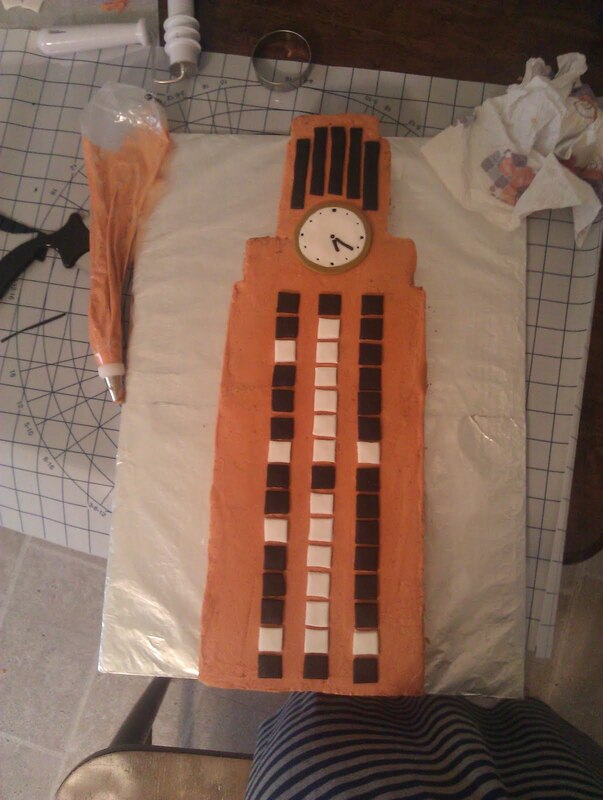 Next, he says "and the tower could be made of rice crispy and covered in fondant and we could just eat the base." I quickly knocked down that idea and told him I would just make a tower that was laying down. 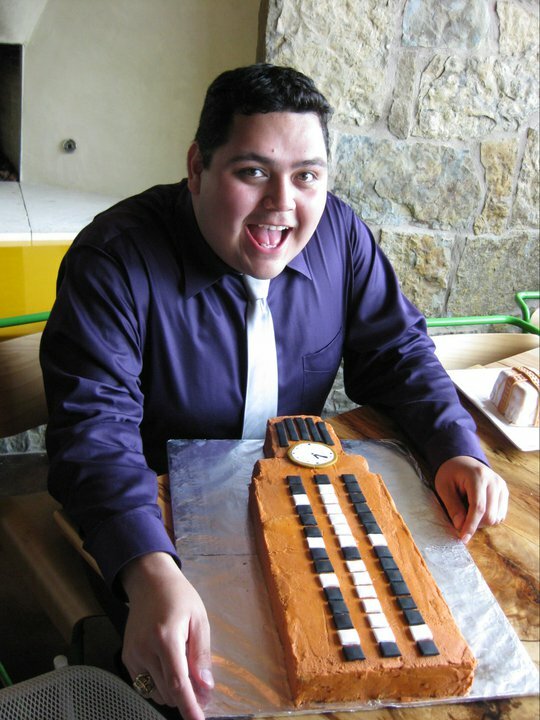 John and his family were really excited about the cake when I brought it to his party! 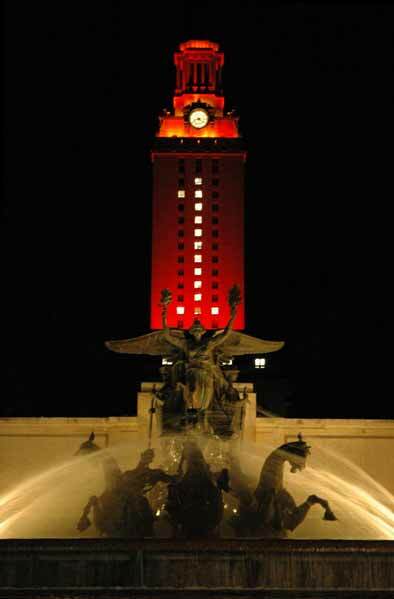 CONGRATULATIONS TO THE UNIVERSITY OF TEXAS CLASS OF 2011!